Have Your Imported Goods Experienced Water Damage or Container Rain? Your shipment of apparel, footwear or other general merchandise has arrived in the U.S. from overseas. However, upon inspection you discover that your goods experienced some type of water damage or have been affected by “container rain”. 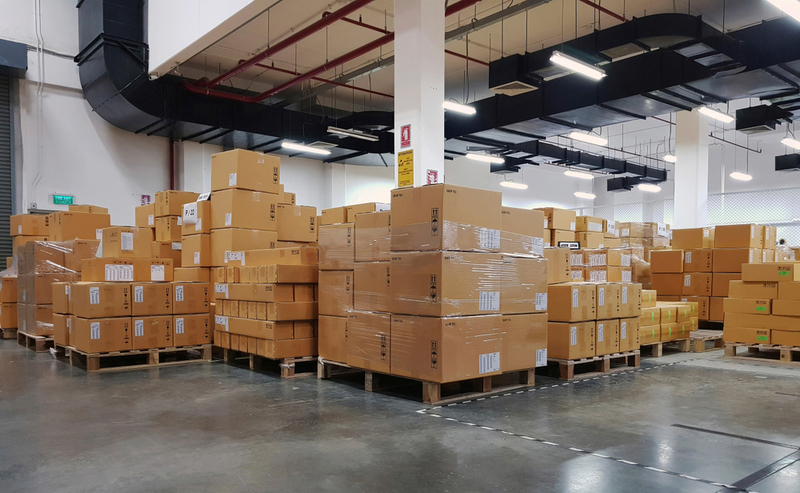 Despite the best preventative efforts of the overseas manufacturer, your freight forwarder and any other parties involved in the shipment of your goods, it’s inevitable at some point that you may need to determine what to do about goods affected by moisture or water damage. While there are a variety of options for the supply chain team to consider, from filing claims, securing new product, to pointing fingers, another viable and potentially cost-saving solution is turning to a product repair and rework service provider. From sea to shining sea, the U.S. shipping industry is one of the largest in the world as the majority of our imported products take a lengthy journey through various climates before it ever arrives in America. These climate changes may wreak havoc on the inventory that is locked inside of the containers and can cause a variety of problems to its precious cargo. To give you a snapshot of the inside of a container, think of a bottle of water left in your car on a hot summer day. It is usually found with water droplets formed on its walls from condensation. This is the exact same process that is occurring inside of the locked container only to a much larger degree. 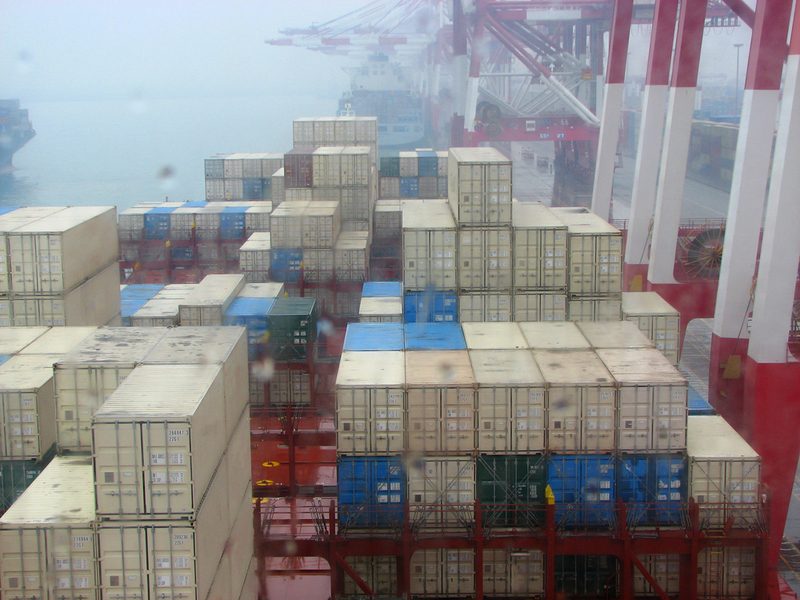 Container rain is a common term that is used in the industry referring to heavy condensation formation within a shipping container. Now that you know the why and the how, let’s talk about various kinds of product damage that the technicians at Quality Corrections & Inspections have treated. Wet merchandise for starters! In the best case, you simply have wet clothing to be laundered and reticketed. That is if your quality team at the DC (distribution center) is quick to send it to QCI as fast as possible. Sometimes vendors aren’t so lucky though. Sometimes the ink from the hang tags will imprint onto your merchandise, or your wet product will bleed ink colors onto each other causing the dye to migrate like a grade school art project. These are big “uh-oh” moments when discovered that usually require some decision making. However, if the product is left unattended in this situation long enough, it will begin to develop “organic growth” (mold). The odor alone will cause someone to just close the box!! The above problems are not left solely to the apparel or soft goods industry for leather products are just as vulnerable. Shoes, handbags, and small leather goods are susceptible to the same moisture damages. They will require a drying process and may even require a visit to our ozone chamber to help combat any unpleasant odors. However, if the organic growth (mold) is not quickly remediated, the mature mold can leave remnant stains on the hide which may require a leather refinishing process. In extreme cases, the hardware can even begin to corrode resulting in the need for replacement. The best is yet to come because after your rework is completed, the technicians at QCI are also masters at ticketing, tagging, folding, applying tissue paper, and new polybags to the rendered merchandise. When product finally arrives at its destination, it is in perfect floor-ready condition and nobody ever knows that it took a detour. Your product and brand integrity are always our top priority. So, since maritime shipping doesn’t appear to be going anywhere and despite everybody working at 100% to ensure that your shipment will arrive in perfect condition, problems can still occur that result in millions of dollars of undesirable inventory that may unfortunately be considered for discard into landfills. Product repair and rework can not only be a cost-saving solution but an environmentally friendly alternative as well. For more than 30 years, QCI has been the recognized leader in product repair and rework with the knowledge and experience to solve most challenges. Contact our team for a Free Project Analysis and evaluation of any repair or restoration issue you may be facing.